The Battle of al-Qādisiyyah (Ar. Maʿrakat al-Qādisiyyah or معركة القادسية; also spelled Qadisiyya, Qadesiyyah, Kadisiya, Ghadesia, etc.) was a decisive engagement during the Arab-Muslim conquest of Iran in the mid-630s. Since the days in which the Arab warriors engaged and defeated the imperial army of Sāsānian Iran near al-Qādisiyyah, countless generations have preserved and retold the history of that event which took place on the plains between the Arabian Desert and a branch of the Euphrates River, between the arid home of the nomadic Arab tribes united recently by Islam and the lush, rich alluvium of Mesopotamia, where Iranian kings had established themselves not far from Biblical Babylon, and between—as some would later suggest—barbarism and civilisation. Inevitably, the passage of time has encompassed the original narrative, leading to its embellishment and even distortion at the hands of story-tellers (Ar. qāṣṣ, pl. quṣṣāṣ), traditionists (Ar. akhbāriyyūn), historians, and political leaders. Around the historic kernel of the battle, a legend has developed over the centuries, comprising a large body of literature full of topoi. Juxtaposing details such as the size of the forces and mention of the clash in non-Muslim annals suggests that the current perception of al-Qādisiyyah is but a pale shadow of the original event. In this manner, the Battle of al-Qādisiyyah highlights the significant function of history and memory in the modern Middle East. The evocation of this battle by Ṣaddām Ḥusayn (Saddam Hussein) during the Iran-Iraq War and currently by radical Islamists exemplify well the continuing emotive power of this ancient engagement. 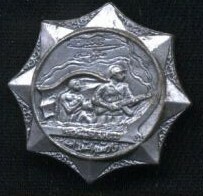 Support for Ṣaddām’s historical characterisation of the modern war was further bolstered through several cultural symbols. An Egyptian film released at this time cast the Battle of al-Qādisiyyah in ethnic terms (Arab versus Persian) and Iraqi scholar Kanan Makiya has commented on the significance of various building and architectural projects that evoked al-Qādisiyyah, such as the Tomb of the Unknown Soldier, in which a sword allegedly belonging to Saʿd lies alongside Ṣaddām’s personal machine gun. Makiya has called this an attempt to make Ṣaddām the Saʾad ibn-abi-Waqas of the 1980s (see Makiya, 11). While the régime in Baghdād most poignantly displayed the use of Qādisiyyah nomenclature in all facets of life, the name has appeared and continues to function in all sorts of guises in the modern Middle East—even reaching Muslim communities outside the region; al-Qādisiyyah graces the names of everything from hotels to ports to military brigades to universities. Even its use as a military symbol predates Ṣaddām, as evident from the existence of a number of al-Qādisiyyah army units, dating back as early as the 1948 War. The trend of memorialising the Battle of al-Qādisiyyah through naming is at least as ancient as the early Tenth Century, when reports mention al-Qādisiyyah Mosque in the city of al-Kūfah. Below, I have divided the types of Qādisiyyah objects into several subjects: (3.1) geography and toponymy; (3.2) state institutions and symbols, and (3.2.1) military forces and installations; (3.3) radical Islamist organisations and institutions; (3.4) culture and the arts, as well as (3.4.1) modern Arabic poetry; (3.5) education, religion, and recreation, and particularly (3.5.1) sporting clubs and teams; and (3.6) miscellanea. These divisions are ranked roughly from the order of greatest state affiliation to least, or in terms of growing individual choice with respect to the decision to select al-Qādisiyyah as a name. Unless otherwise stated, the titles of the following objects and places is ‘al-Qādisiyyah’. This is a work in progress. Any additions, corrections, and criticisms are most appreciated. Do you have contributions to the appendix of examples of Qādisiyyah nomenclature? Click here. Most of these examples were produced by states (particularly Ṣaddām’s Iraq), in order to promote a specific agenda or idea (such as ‘Ṣaddām’s Qādisiyyah’). al-Qādisiyyah street, near the Qalāg suburb of Cairo. al-Qādisiyyah village, al-Ḥāmūl region, Kafr ash-Shaykh Governorate. The historical al-Qādisiyyah was a town located near the battle-site and an stop on the Mesopotamian trade-route to Arabia (and, later, the Muslim pilgrim route to al-Madīnah). Another historical city of the same name and noted mediæval glass-making centre, was located south-east of Sāmarrāʾ, and was the site of the Ḥuṣn (‘fort’) al-Qādisiyyah. 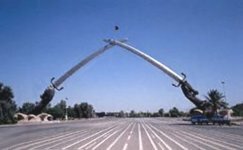 Qādisiyyah-Yarmūk-Airport Bridge and interchange in south-central Baghdād. al-Qādisiyyah border centre and customs post, a border-crossing between Jordan and Iraq, at Ṭrībīl. Village of al-Qādisiyyah, near Ḍana. Like the previous section, a common thread linking the following instances of al-Qādisiyyah is that they are state-produced and intended to promote an ideological agenda. Mujammaʿ al-Qādisiyyah ( The Qādisiyyah Compound ), in Kīrkūk. Iraqi army class commemorating Ṣaddām’s Qādisiyyah . 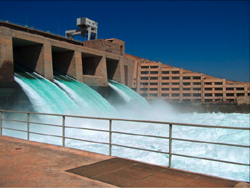 Baʿth-era Qādisiyyah Company for Land Reclamation (or Qādisiyyah Corporation for Irrigation and Land Reclamation Projects ), a governmental organisation affiliated with the Ministry of Irrigation, responsible for irrigation projects. Qādisiyyah Electrical Industry Department of the Military Industry Commission (or Qādisiyyah Enterprise for Electrical Industries), an engineering agency under the Baʿth. al-Qādisiyyah Police Department building, in Tikrīt, Iraq. al-Qādisiyyah Police Station, in Kuwait. al-Qādisiyyah, a large class of Iraqi tankers. al-Qādisiyyah Brigade and al-Yarmūk Brigade, Iraqi military forces sent to fight in the 1948 War between Israel and the neighbouring Arab states. al-Qādisiyyah Brigade of the Palestine Liberation Organisation (PLO), based in Sudan. The appeal to the symbols of early Islam is common also in the rhetoric of a relatively-new player on the scene—radical Islamists—who have sought to use examples from early Islamic history, such as al-Qādisiyyah, to encourage and motivate their members. al-Qādisiyyah training camp of al-Qāʿidah, located near Jalālābād, Afghanistan. al-Qādisiyyah Brigade, in the Iraqi resistance ‘Republican Guard’, operating against so-called Persian forces in the area of Mawṣil (Mosul). Particularly in the case of Ṣaddām’s Iraq, some of the following artistic production is state-produced or inspired; however, some of the examples represent independent, individual choices. Al-Qādisiyyah newspaper, established by the Baʿth Party as the mouthpiece of the Iraqi Defence Ministry in 1981 (ceased publication with the fall of the régime in April 2003), in Baghdād. Dār al-Qādisiyyah li-ʾṭ-Ṭibāʿah, Dār al-Qādisiyyah, and/or Maṭbaʿat Dār al-Qādisiyyah, active from 1982 to 1986, in Iraq. Dār al-Qādisiyyah, active from 1979 to 1980, in Alexandria. Dār al-Qādisiyyah, active in 1980, in ʿAmmān. Dār al-Qādisiyyah and/or Dār al-Qādisiyyah li-ʾn-Nashr wa-ʾt-Tawzīʿ, active from 1994 to 1999, in Jiddah. Oh fenêtres des mosquées! / Où sont les yeux qui, à travers vos barreaux, ont regardé le minbar / Oh miḥrāb! / Où est la puissance de ce peuple croyant / Qui d’assaut emportait les portes des palais persans, / Vivait de verdure du desert / Et ramassait les roses après la nuit d’al-Qadisiyya … (cited in Skarżyńska-Bocheńska, 186). But / Why are you dying far from the water / When the Nile fills your hands? / Why are you dying far from the lightning / When the lightning resides on your lips? / And you promised the tribes / A summer’s journey from the Jāhiliyya. / And you promised th[ose in] chains / Mighty arms posed to fire. / And you promised the warrior / A battle: one to bring back Qādisiyya (cited in DeYoung, 79). Your enemy has fornicated your history / your enemy despised your national anthems / and your empty war songs / the wound of Palestine can not be healed / by your emotional and patriotic songs / the shame and disgrace of June 1967 / can only be removed by the battle of Al-Qadisiyya (cited in Gohar, 5). Like the other poets, al-Faytūrī exploited the emotive power of the memory of al-Qādisiyyah to underscore the perceived depths to which the Arab nation had fallen. The following examples, from the fields of education, religion, recreation, and sport, represent more a reflection of ‘everyday life’ than the official nomenclature above. Still, some of these next illustrations, such as the names of schools and university, may manifest state-sponsored agendæ. Al Qadisiya Complex Health Center, in Talʿafar. al-Qādisiyyah Childrens Hospital, in Baghdād. al-Qādisiyyah Heroes student camp, in southern Baghdād. al-Qādisiyyah High School, in Baghdād. al-Qādisiyyah Library, with over seventeen-thousand volumes and hundreds of periodicals, in Al-Qādisiyyah Province. al-Qādisiyyah medical clinic, in Baghdād. al-Qādisiyyah Olympic Swimming Pool, in Baghdād. al-Qādisiyyah medical clinic, in Kuwait City. al-Qādisiyyah School, located next to the Madāʾin and Nihāwand Schools (all battles during the conquest of Iran), in Tripoli. Masjid Jamiʿa al-Qādisiyyah (or Jamia Qadisia, al-Qādisiyyah Mosque ), affiliated with the Islamist militant group Lashkar-e Ṭayyibah ( Army of the Good , LeT) and its political arm, Jamāʿat ud-Daʿwah ( Society of Preaching , JuD), in Chauburgi, Lahore. al-Qādisiyyah Primary School, in Wādī ad-Dawāsir. al-Qādisiyyah Youth Centre, founded in 1963.
al-Qādisiyyah High School, in Abu Dhabi Education Zone, Abu Dhabi. al-Qādisiyyah High School, in Al Ain Education Zone, Al Ain. Qādisiyyah Badminton Ground and Volleyball Ground, in Sharjah. This final category contains examples of Qādisiyyah nomenclature from an assortment of objects, mostly private businesses, which reflect largely the initiative of individuals in the selection of al-Qādisiyyah as their names. Qādisiyyah automobile showroom, in Jiddah, Saʿūdī Arabia. al-Qādisiyyah Factory for Solar and Electric Water Heaters, Khān Yūnis, Palestinian Territories. al-Qādisiyyah Pharmacy, in an-Nuṣayrāt, Palestinian Territories. al-Qādisiyyah Printing Company, in ar-Rām, Palestinian Territories. al-Qādisiyyah Supermarket, in an-Nuṣayrāt, Palestinian Territories. al-Qādisiyyah Hall, a public building in an open market where livestock is sold, in Baghdād, Iraq. Do you know of other cases of Qādisiyyah nomenclature? If you have any examples to contribute to the lists above, any corrections to point out, or any comments about this appendix, please use this form to suggest submissions. Alavi, S M Ziauddin. Arab geography in the Ninth and Tenth Centuries. Aligarh: Department of Geography, Aligarh Muslim University, 1965.
al-ʿAyyīrī, Shaykh Yūsuf. ‘Shaykh Yusuf Al-Ayiri highlights women’s role in helping, hindering jihad’. Jihadist websites—OSC summary, 04 December 2009. Baram, Amatzia. Culture, history, and ideology in the formation of Baʿthist Iraq, 1968–69. New York City: St Martin’s Press, 1991. Bartolʹd, Vasiliĭ Vladimirovich [Wilhelm Barthold]. An Historical geography of Iran, ed. Clifford Edmund Bosworth. Modern classics in Near Eastern studies. Translated from Russian by Svat Soucek. Princeton: Princeton University Press, 1984. Bengio, Ofra. Saddam’s word: Political discourse in Iraq. New York City: Oxford University Press, 1998. Darwish, Mahmoud. ‘My beloved rises from her sleep’. Translated from Arabic by Ben M Bennani. Journal of Arabic Literature 6.1 (1975): 101-106. Davis, Eric M. Memories of state: Politics, history, and collective identity in modern Iraq. Berkeley: University of California Press, 2005. Dawisha, Adeed I. ‘Arabism and Islam in Iraq’s war with Iran’. Middle East Insight 3 (1984): 32-33. DeYoung, Terri. ‘Nasser and the death of elegy in modern Arabic poetry’. In Tradition and modernity in Arabic literature, ed. Issa J Boullata, Terri DeYoung, and Mounah Abdallah Khouri, 63-86. Fayetteville: University of Arkansas Press, 1997. Donner, Fred McGraw. Narratives of Islamic origins: The Beginnings of Islamic historical writing. Studies in late antiquity and early Islam, 14. Princeton: Darwin Press, 1998. Gieling, Saskia Maria. Religion and war in revolutionary Iran. Library of modern Middle East studies, 18. London & New York City: I B Tauris, 1999. Halbwachs, Maurice. The Collective memory. Translated from French by Francis J Ditter, Jr and Vida Yazdi Ditter. 1st ed. New York City: Harper & Row, 1980. Haseeb, Khair el-Din, ed. Arab-Iranian relations. Beirut: Centre for Arab Unity Studies, 1998. Humphreys, R Stephen. Between memory and desire: The Middle East in a troubled age. Berkeley: University of California Press, 1999. Jandora, John Walter. The March from Medina: A Revisionist study of the Arab conquests. Clifton, New Jersey: Kingston Press, 1989. Lewental, D Gershon. ‘“Saddam’s Qadisiyyah”: Religion and history in the service of state ideology in Baʿthi Iraq’. Middle Eastern Studies 50.6 (November 2014), 891-910. Lewis, Bernard. History: Remembered, recovered, invented. New York City: Simon & Schuster, 1987. Lewis, Bernard. ‘Perceptions musulmanes de l’histoire et de l’historiographie’. In Itinéraires d’Orient: Hommages à Claude Cahen, ed. Raoul Curiel and Rika Gyselen, 77-81. Res Orientales, 6. Bures-sur-Yvette: Groupe pour l’étude de la civilisation du Moyen-Orient, 1994. Long, Jerry Mark. Saddam’s war of words: Politics, religion, and the Iraqi invasion of Kuwait. 1st edition. Albany: University of Texas Press, 2004. Makiya, Kanan. The Monument: Art, vulgarity, and responsibility in Iraq. Berkeley & Los Angeles & London: University of California Press, 1991. Morony, Michael G. Iraq after the Muslim conquest. 1st ed. 1984. Reprint, Piscataway, New Jersey: Gorgias Press, 2005. Noth, Albrecht, in collaboration with Lawrence Irving Conrad. The Early Arabic historical tradition: A Source-critical study. Studies in late antiquity and early Islam, 3. Translated from German by Michael Bonner. 2nd edition. Princeton: Darwin Press, 1994. Pourshariati, Parvaneh. Decline and fall of the Sasanian empire: The Sasanian-Parthian confederacy and the Arab conquest of Iran. International Library of Iranian Studies, 10. London & New York City: I B Tauris, 2008. Ram, Haggai. Myth and mobilization in revolutionary Iran: The Use of the Friday congregational sermon. Washington: American University Press, 1994. Rida, Muhammad. ‘Qadisiyya: A New stage in Arab cinema’. Ur 3 (1981): 40-43. Ṣaddām Ḥusayn. ‘President visits scene of grenade incident 2 Apr’. Baghdād, Voice of the Masses in Arabic. 02 April 1980, 1200 GMT. FBIS-MEA-80-066. 03 April 1980, E2-3. Skarżyńska-Bocheńska, Krystyna. ‘Le reflet de l’Islam dans la poésie tunisienne contemporaine’. Die Welt des Islams 23.1–4 (1984): 182-197.
aṭ-Ṭabarī, Abū Jaʿfar Muḥammad b. Jarīr. The History of al-Ṭabarī. Bibliotheca Persica. Translated from Arabic by Yohanan Friedmann. Vol. 12, The Battle of al-Qādisiyyah and the conquest of Syria and Palestine: A.D. 635–637/A.H. 14–15. Albany: State University of New York Press, 1992. 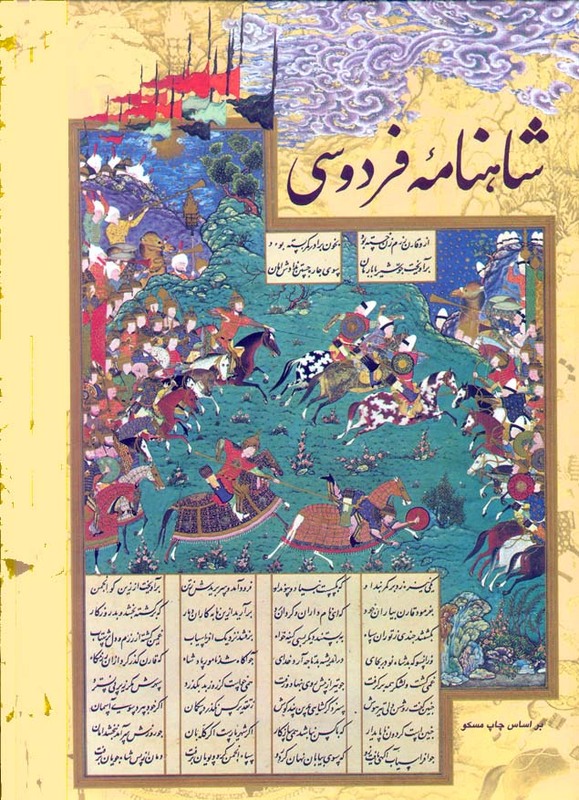 Depiction of the Battle of al-Qādisiyyah from a copy of the Persian epic Shāh-nāmeh. Source: Wikipedia. 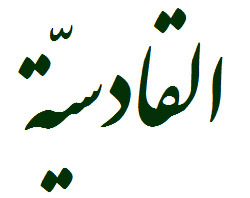 Stylistic rendering of ‘al-Qādisiyyah’ in Nastaʿlīq script. Source: D Gershon Lewental (DGLnotes). 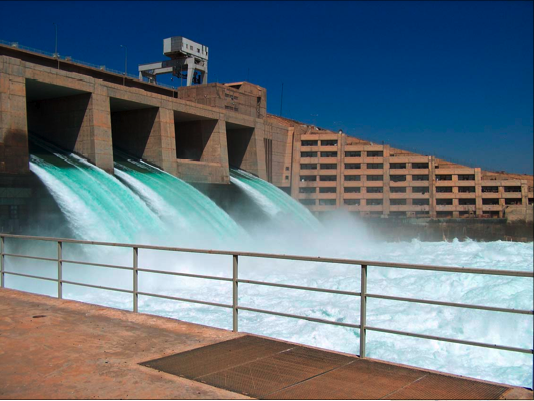 Ḥadīthah Dam, initially called al-Qādisiyyah Dam, one of the largest hydro-electric installations in Iraq, build with Soviet and Yugoslav assistance and inaugurated on 28 July 1986. . Source: Wikipedia. 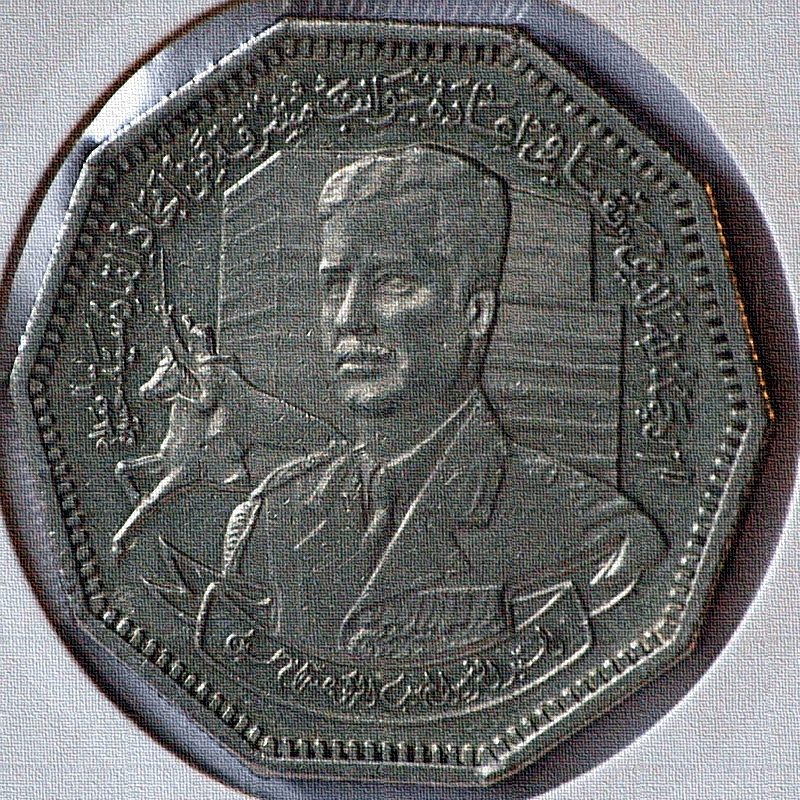 Iraqi medal issued to commemorate Ṣaddām’s Qādisiyyah. Source: Semoeric website. 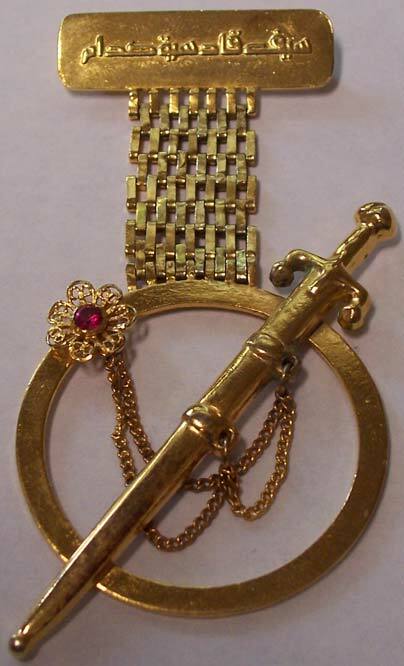 Iraqi medal ( Sword of Qādisiyyat Ṣaddām ) issued to commemorate Ṣaddām’s Qādisiyyah. Source: Internet. 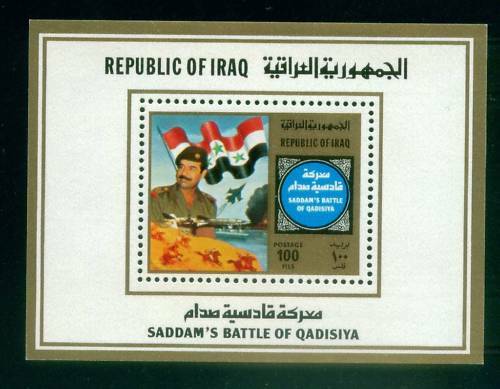 Commemorative (35-fils) stamp issued by Iraq depicting both Battles of al-Qādisiyyah. Source: Wikipedia. 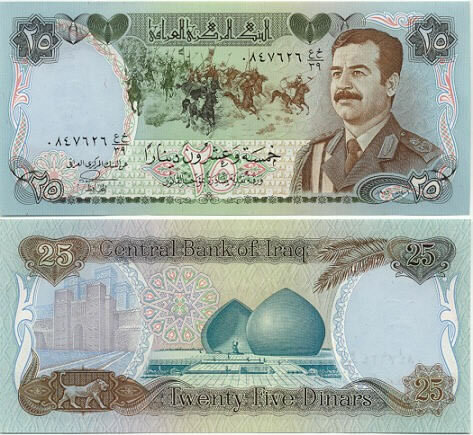 Iraqi 25-dinar note from the Ṣaddām-era, with the Battle of al-Qādisiyyah depicted on the obverse and the Tomb of the Unknown Soldier on the reverse. Source: Wikipedia. 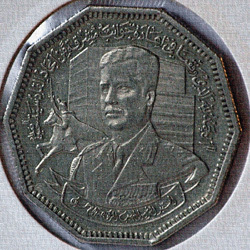 Iraqi 1-dinar coin from 1980 depicts Ṣaddām in the foreground, with an Arab fighter from the Battle of al-Qādisiyyah in the background. Source: N & N Notaphily & Numismatic’s Munzert. 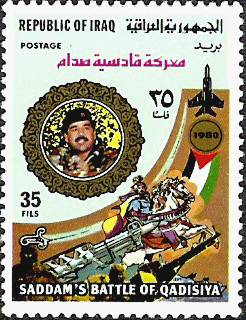 Commemorative (100-fils) stamp issued by Iraq in 1981 depicting both Battles of al-Qādisiyyah. Source: eBay. al-Qadisiyyah Media Productions, the media and translation arm of a radical Islamic propaganda organisation. Source: JihadMedia.net. A logo of al-Qadisiyah TV, a television network affiliated with an Iraqi insurgent group. Source: alQadisiyahTV.com. The logo of AlQadisiyya3.com, an anti-Shīʿī website run by a Sunnī cleric in Iraq. Source: AlQadisiyya3.com. The logo of Qaadisiya.com, the website of the Somali Islamist group Islamic Courts Union. Source: Qaadisiya.com. Logo of Firqat Abnāʾ al-Qādisiyyah ( Sons of al-Qādisiyyah Division ), a Salafī group fighting in the Syrian civil war. Source: Firqat Abnāʾ al-Qādisiyyah (Facebook website). Internet banner created by the Katāʾib Aḥrār ash-Shām ( Freemen of Syria Battalions ), a Salafī group fighting in the Syrian civil war, depicting their cause as a ‘second’ Qādisiyyah. Source: Shabkat al-Jihād al-ʿĀlamī ( Network of Global Jihād ). Al-Qādisiyah Palace, designed by TIGRIS Enterprises in Iraq between 1983 and 1993. Source: TIGRIS Enterprises. The banner of Ṣaḥīfat al-Qādisiyyah al-Iliktrūniyyah ( The Electronic Qādisiyyah Newspaper , an online Saʿūdī newspaper. Source: Ṣaḥīfat al-Qādisiyyah al-Iliktrūniyyah (Facebook website). 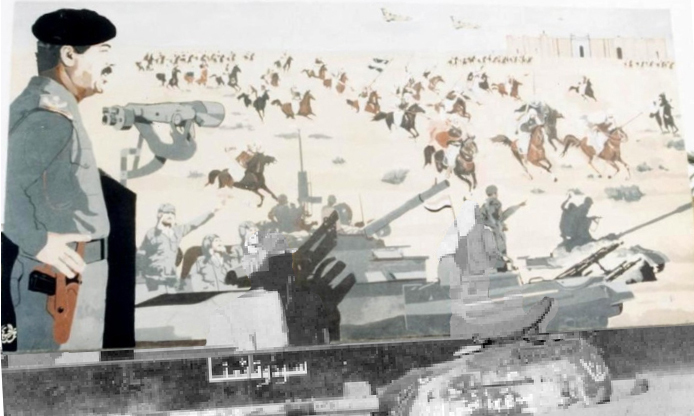 A Baghdād mural depicting Ṣaddām Ḥusayn surveying both the Seventh-Century and the ‘modern’ Battles of al-Qādisiyyah. Source: unknown; similar image appears in Baram, plate 15. Official logo of University of Al-Qadisiyah, founded in December 1987. Source: University of Al-Qadisiyah (Facebook website). The logo of Al Qadesiah Secondary Girls School in Jordan, founded in 2011. Source: Al Qadesiah Secondary Girls School CPSC (Facebook website). El Kadisia school (Amsterdam) logo. Source: El Kadisia Islamitische Bredeschool. Al Qadeseya Model Independent School (Doha) website banner. Source: Al Qadeseya Model Independent School. Qadsia Sporting Club (Kuwait) logo. Source: Qadsia Sporting Club. Al Qadisiyah al-Khubar football club (Saʿūdī Arabia) logo. Source: Wikipedia. 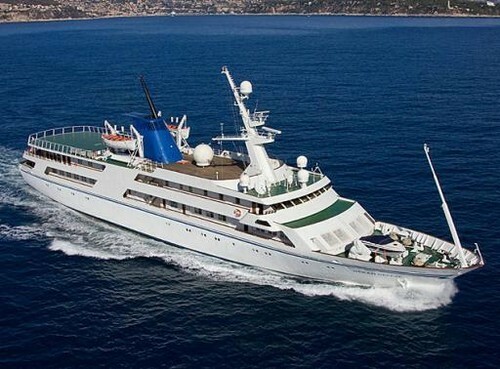 Qādisiyyat-Ṣaddām, a superyacht ordered from a Danish company by Ṣaddām in 1981, equipped with a mosque, missile defence system, and a mini-submarine. Source: Sail-World.com.